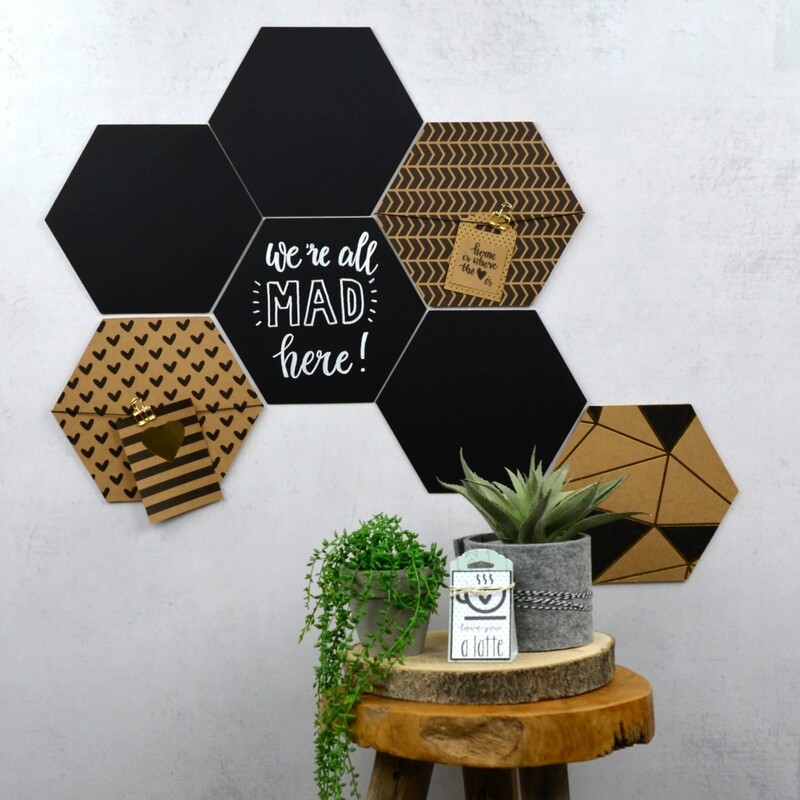 If you have a wall or room that could do with livening up and that'd like to turn into a real statement, this hexagon wall decoration could be the eye-catcher that you're looking for. It's quick and easy to make with this DIY set. 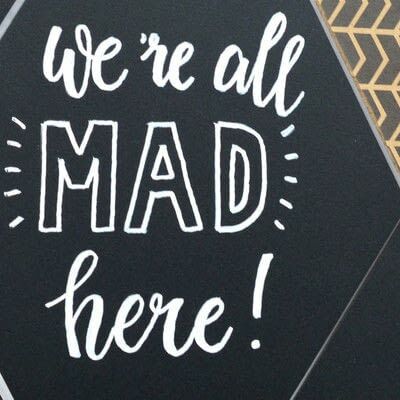 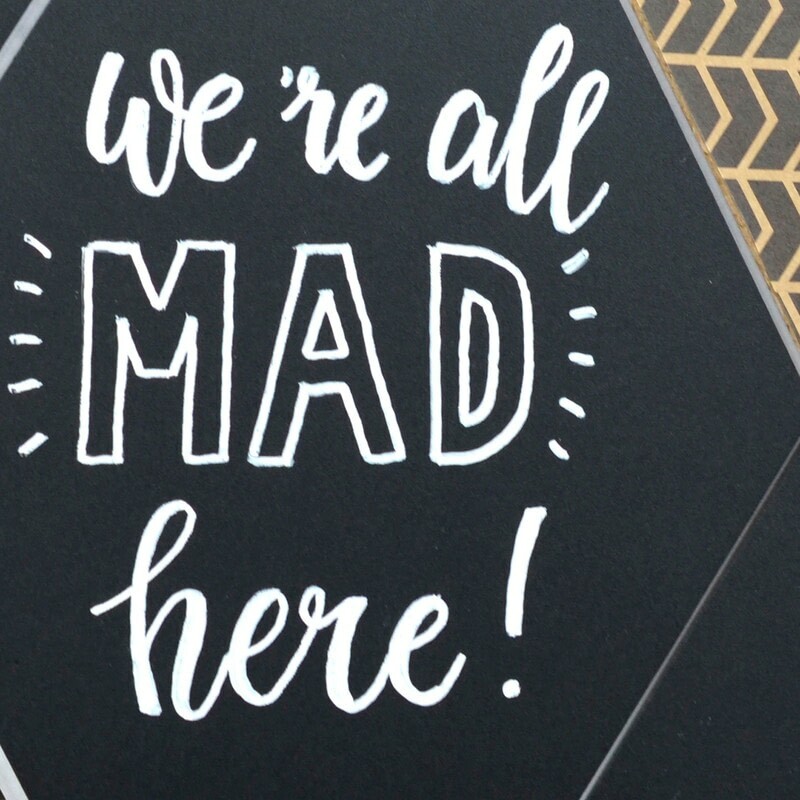 Choose three types of kraft paper from the Love it! collection. 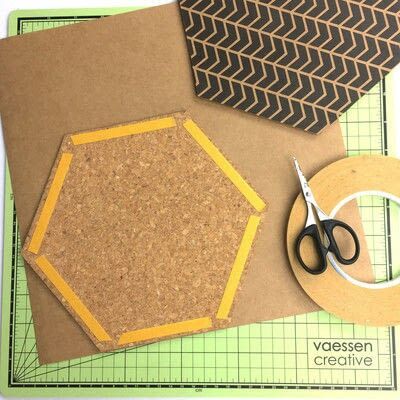 Place the cork hexagon on each piece of paper and cut around it with a Vaessen craft knife. 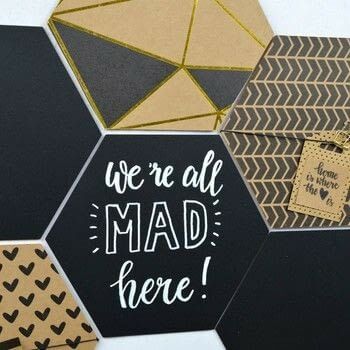 Stick the kraft paper hexagons to the cork hexagons with double-sided tape and then stick the fixing provided to the back of each hexagon. 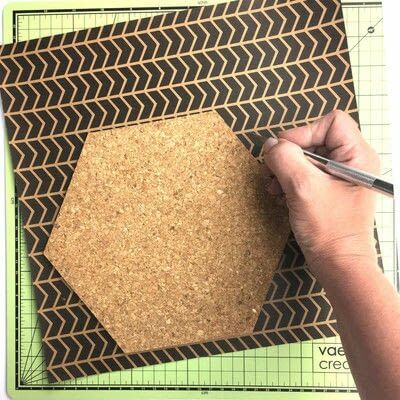 Cut hemp cord to size and stick it to the back of the hexagons. Cut kraft paper to measure 2.5x6 inches and use the Vaessen hang tag punch from the Love it! 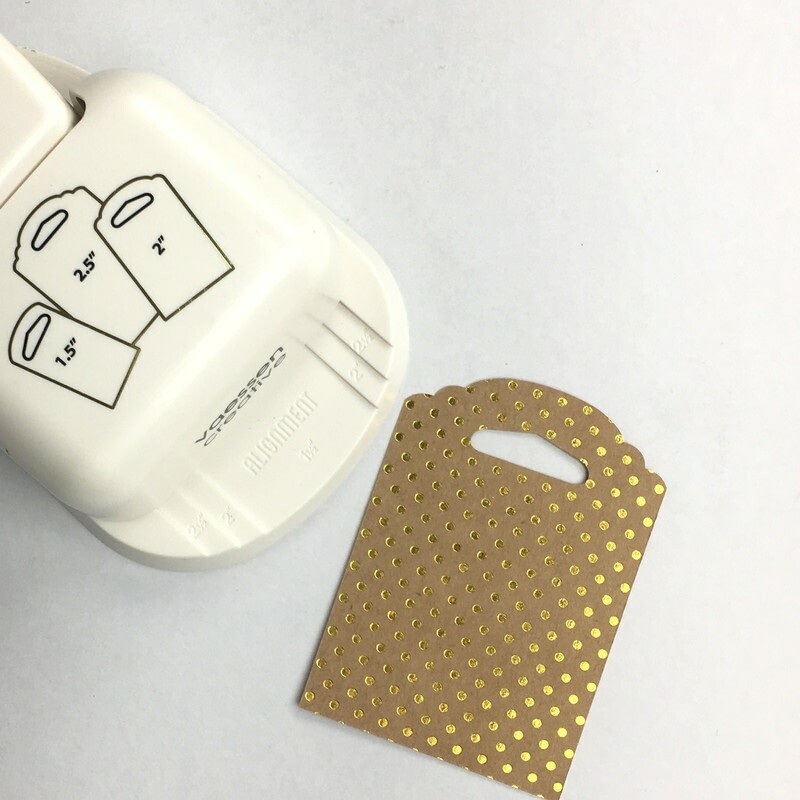 collection to punch a eurolock into it. 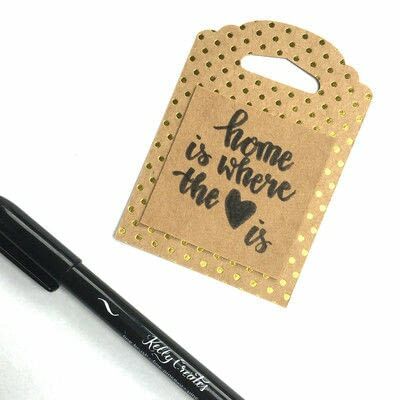 Stick a square kraft-paper card measuring 2x2 inches to your tag and use the Kelly Creates pen to write a great text on it. Take a Securit marker and write one or more words or sentences of your choice on the chalk-board hexagons. Attach the finished hexagons to your wall with the Velcro provided and - that's it - your wall decoration is finished.